MINNEAPOLIS — The final weekend of November has arrived, with this Green Bay-Minnesota game predictably carrying plenty of weight toward the race for the NFC playoffs. PACKERS OFFENSE — OVERALL (8), RUSH (T17), PASS (7). PACKERS DEFENSE — OVERALL (12), RUSH (26), PASS (5). VIKINGS OFFENSE — OVERALL (14), RUSH (31), PASS (8). VIKINGS DEFENSE — OVERALL (5), RUSH (4), PASS (6). STREAKS, STATS AND NOTES — Packers have lost first two trips to U.S. Bank Stadium but are 7-5 under coach Mike McCarthy in Minnesota. … Earlier tie is one of two draws in NFL this season. … Packers have lost seven straight regular-season road games, since winning in overtime at Browns on Dec. 10, 2017. … Packers QB Aaron Rodgers, including playoffs, is 12-7-1 as starter in career against Vikings. 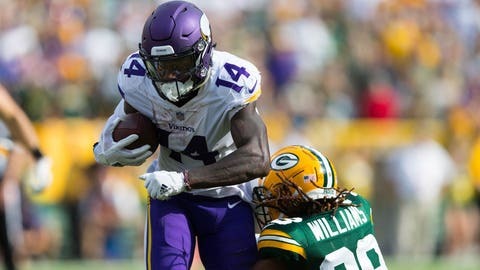 In last two road games against Vikings, he has produced two lowest passer ratings of those 20 contests, including last year when hit by Vikings LB Anthony Barr in first quarter broke his collarbone. … Rodgers has 26 TDs and no interceptions in last 10 games against NFC North teams. He had streak of 28 straight TD passes without interception against division foes from 2013-15. … Packers RB Aaron Jones, who missed earlier matchup due to suspension, has 342 rushing yards and four TDs in last four games, plus 12 receptions for 100 yards and one TD. Jones leads league with average of 6.4 yards per rush. … Packers lead NFL in sacks per pass attempt (32 in 325, for 10.46 percent). LB Kyler Fackrell, starting in place of injured Nick Perry, had three sacks last week against Seahawks. DT Kenny Clark has four sacks in last five games. … Vikings have lost all three night games this season, at Rams, against Saints and at Bears. … Vikings have 16 turnovers, fourth most in league. QB Kirk Cousins has been charged with 13 of them, seven interceptions and six fumbles. …. Vikings WRs Adam Thielen (85, first) and Stefon Diggs (71, sixth) are only teammates ranking in top 10 in NFL in receptions. … Thielen has 35 receptions, 453 yards and three TDs in last four games against Packers. 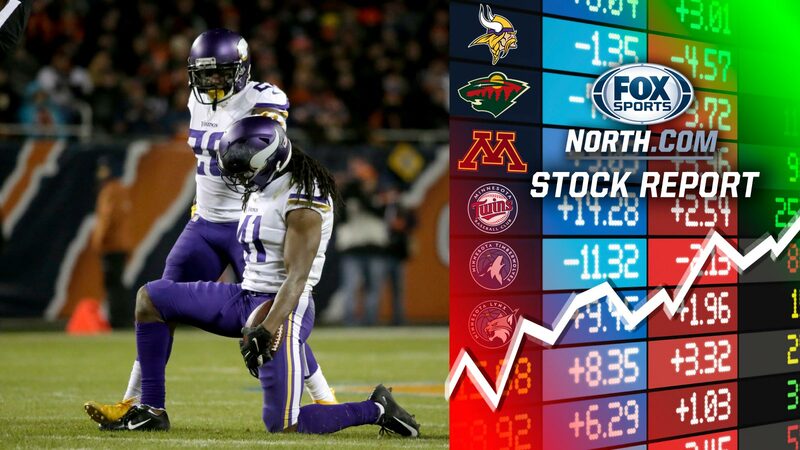 … Vikings have allowed only four runs of 15-plus yards, fewest in league. … Fantasy tip: Packers allowed 173 rushing yards to Seahawks last week. 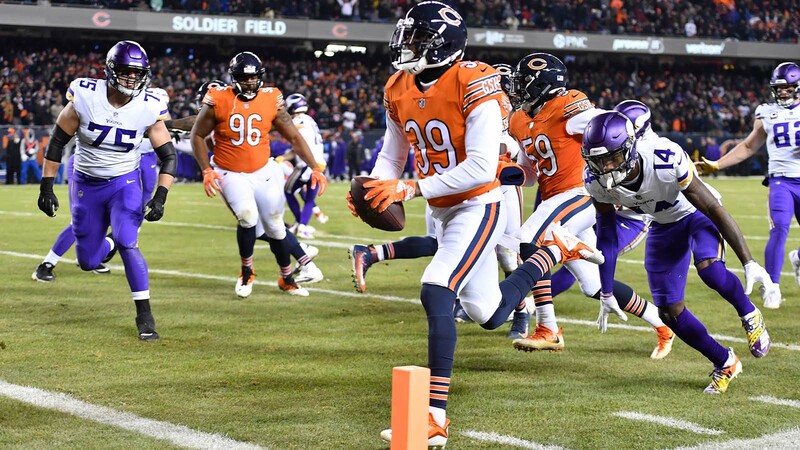 Vikings have rushed for 408 yards and six TDs in last three home games, making RB Dalvin Cook a good bounce-back play despite only 10 total yards and fumble on 12 touches last week against Bears.